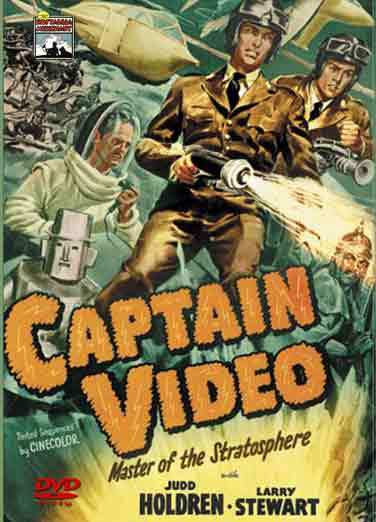 Judd Holdren, in what was only his second starring screen role, plays Captain Video, the leader of a group of crime-fighters known as the Video Rangers. He faces an interplanetary menace, as the evil dictator of the planet Atoma, Vultura and his lackey, the traitorous earth scientist Dr. Tobor are planning to conquer the earth. 1947 – 15 Chapters – 2 DVD Set.